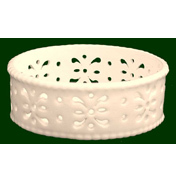 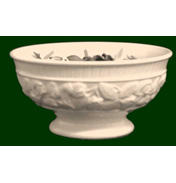 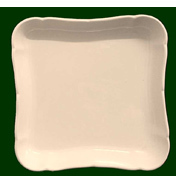 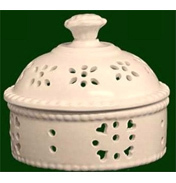 The Large Pierced Trinket Box has a cylindrical body with a slightly raised loose lid. 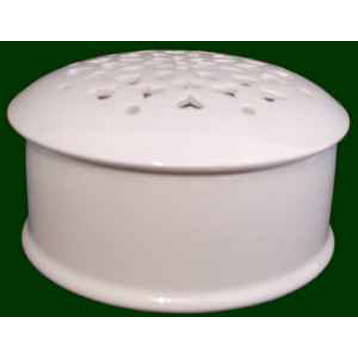 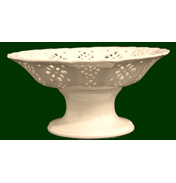 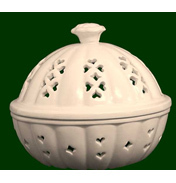 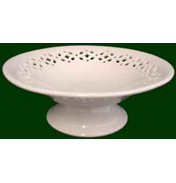 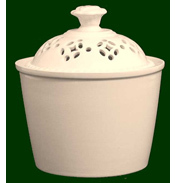 The lid has a circular pattern of pieced openwork formed from heart, leaf and berry shaped holes. 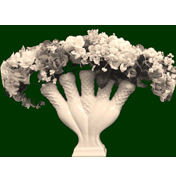 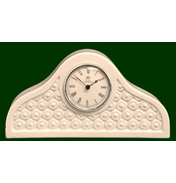 Typical simplistic artful styling from the Art Deco period.